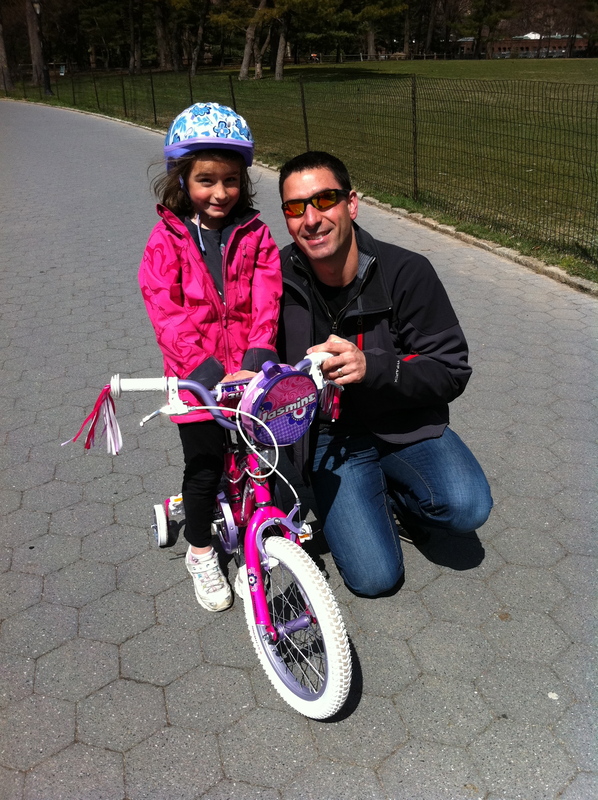 A Fabulous Biking Adventure With Schwinn! We arrived at the Altman building and the girls eyes immediately lit up. 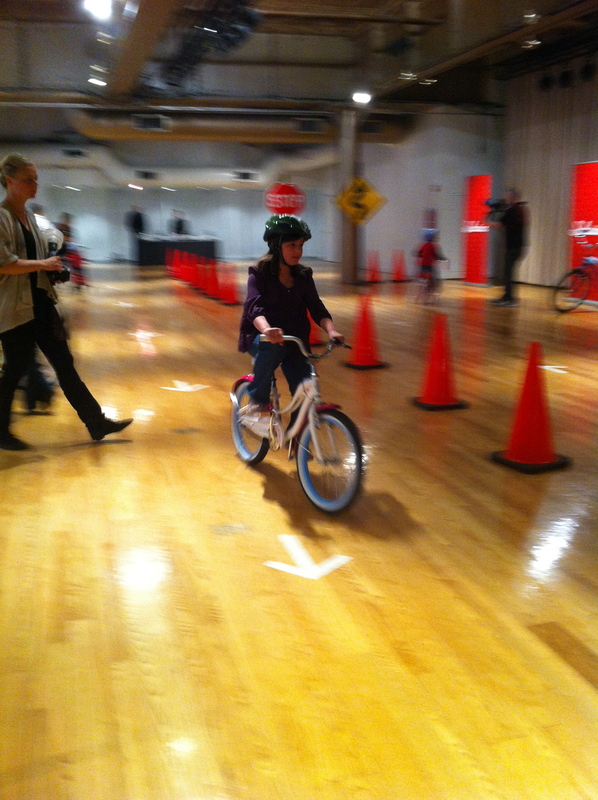 There was a line of very cool Schwinn bikes set out before us, but best of all, just behind the bikes was an indoor track set up for taking the bicycles for a test ride. A & R could barely contain their excitement and immediately started asking to go and ride a bike. The staff working the room were incredibly welcoming, knowledgeable and child-friendly. They immediately set the girls up with helmets and bikes and I could barely check our coats before my two little daredevils were racing around the room. 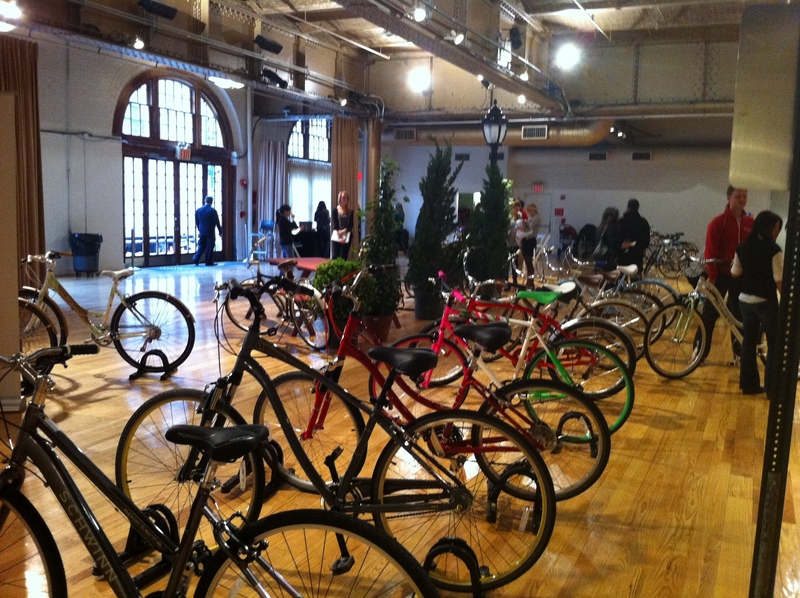 It was soo much fun watching them ride bikes indoors in Manhattan! R loving the freedom of zipping around the room! A taking the corners like a pro! While the girls were having a blast practising their moves, I was able to walk around and check out the amazing bikes from Schwinn. The representatives were very helpful, laid back and easy to talk too. I tried not to get too attached to any one bike because I think owning more than two bikes in a Manhattan apartment might just send my husband over the edge 😉 But is was tempting… oh, soo tempting, especially since there were soo many city-friendly and retro-cool models. I have to say that I really enjoyed the casual and fun atmosphere of this event. The attention to detail especially in regard to the children was a nice touch. 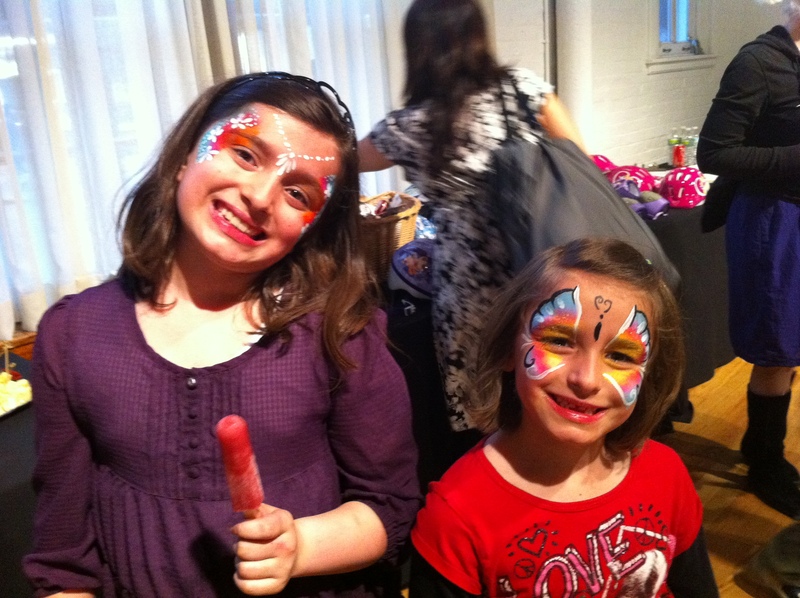 There was face painting and child approved treats like chicken fingers, mozzarella sticks and popsicles. Even the big kids (adults) got to have their fun trying out the bikes and enjoying a much needed summer time activity. The biggest excitement of the evening came towards the end when Olympic Gold Medalist Summer Sanders started raffling off bikes. It was like Christmas morning as children and adults won bikes to take home. 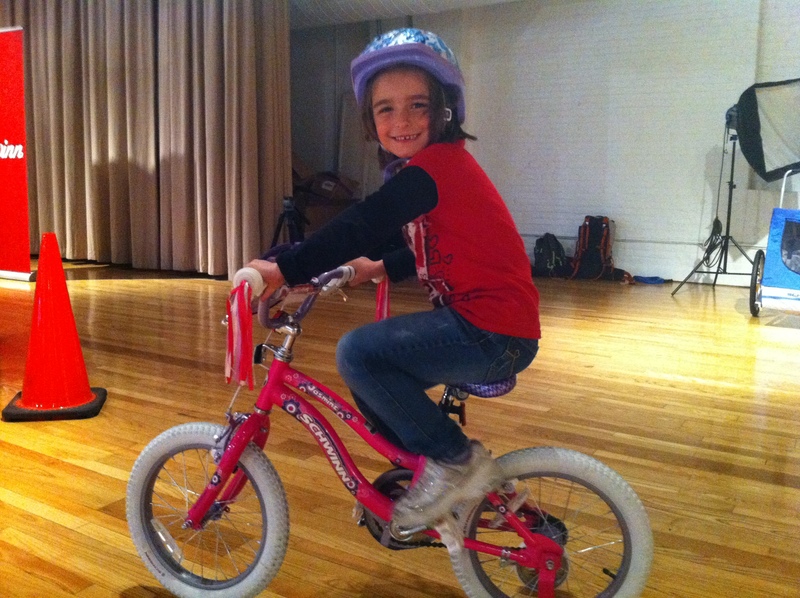 We were very fortunate to win the little girls bike that R had been trying out. And then the BIG surprise came, they announced that every child who did not win a bike would be getting one delivered to their home!! Unbelievable. I was blown away by this generous gesture. A, who was feeling a bit bummed was now beaming from ear to ear. R was beyond excited about taking her bike home and insisted on riding it to the subway. Both girls did not take their helmets off until we actually got to our apartment. It was all the girls could talk about the next day.